Research is now bursting with the benefits of singing and dancing. So sing, sing, sing, to your baby. And guess what! It’s not just for the babies. It’s for the grown-ups too. Over 20 years ago, our first baby music class was formed. Now, years later, I refer to it as a baby group vs. a class, because it’s more than just the music. Often new parents may be overwhelmed, sleep deprived, isolated, young, old, challenged with an unfamiliar language, just getting by, trying to figure it all out. Signing up for a music class is not on their minds. But those that do find our baby group also find open arms and a welcomed respite. "Nurturing Baby & You" is a special time, with moms, dads, grandparents coming together with their babies. In a warm, gentle environment based in the richness of traditional folk music, we sing, folk dance, waltz, take sheet rides, swing in hammocks, shake instruments with older babies, enjoy lullabies, share laughter, hugs and more. An important component for new parents is to have time to share concerns. Articles are provided on topics relevant to the group. And watching the dynamics of the group unfold, is a beautiful thing: babies looking about, crawling around, nursing, tapping a drum, shaking a maraca; grown-ups chatting, supporting each other, often getting together during the week to nurture new friendships. So much more happens at music time, besides the music. Often the only readily available parenting resource is the media, which encourages us to make babies smarter, faster, providing undue pressure on new parents. What’s the hurry? There’s no rush. Our baby group provides time to relax and enjoy, to learn about babies; their needs, individualities, to avoid comparing one to the other, to not worry over every aspect of their development. Childhood is fleeting. Shouldn't it be a journey and not a race? All children develop on their own time frame. The beauty of music and movement is how it impacts all developmental domains and speaks to all children regardless of where they are developmentally. One might wonder, what’s in it for the parent? Plenty! Parents are a child’s 1st & favorite toy. Music and moving create opportunities to enhance the bond and put baby on center stage. Movement can be called the language of emotion, contributing to peace of mind and a sense of well-being. Yet some adults are not comfortable moving. Comfort level, an important component of our time together, is always respected. By taking the music home, everyday routines, sometimes seen as boring, can be transformed with a song. I have one for every possible occasion that I sing to my grandchildren ad nauseam. Here are some links to articles about babies and music. For further reading please find more links in Research Tells Us on the little folks web site. Music can be your best friend. For many of us these are challenging times. A simple song can slow things down, bring families together, help out in a frustrating situation or while waiting, turning cranky to calm. My motto is, when all else fails, try singing and dancing, It really works! 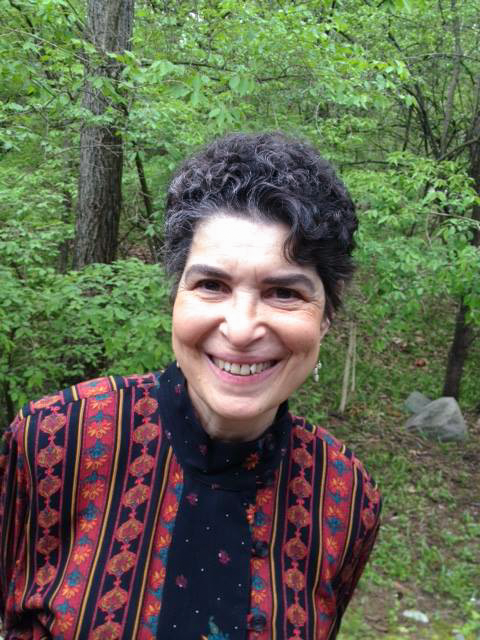 To find out more about Gari Stein’s classes, family & student concerts and in-service training, visit her website at http://www.little-folks-music.com/ or get in touch with her at 734-741-1510 or garistein@aol.com. Posted on September 12, 2014 by Gari Stein and filed under Parenting and tagged Gari Stein.